Nutrition- The Best Prescription - Worksite Wellness: Healthy employees make for a healthy business! Worksite Wellness: Healthy employees make for a healthy business! Employees with weight problems incur 36% higher annual health care costs for primary care visits and 105% higher pharmacy costs for managing chronic conditions caused by their weight (such as high blood pressure, high cholesterol, and diabetes). Thomas D, Brown JB, Nichols GA, Elmer PJ, Oster G. Body mass index and future healthcare costs: A retrospective cohort study. Obes Res. 2001:9:210-218. 1. Employees can jump- start their energy level, feeling better and having more productivity. 2. Prevent or halt the progression of disease. Decrease the incidence of high cholesterol, high blood pressure, and/or diabetes. Reduce reliance on medication and adopt a “ take-charge” approach to life with good nutrition. 3. Enhanced personal attention and improved quality of life. Get individual attention to attain wellness goals. 4.Success! Makes sound adjustments to your eating style that fit your life. You provide the employee audience and Nutrition the Best Prescription will provide the rest! Healthy employees make for a healthy business! Select from a wide variety of timely current topics customized to the interest and priorities of your employee workforce. Unless otherwise stated, all lectures are one hour long including question and answer periods, include handouts and a Powerpoint presentation. Ten Habits of Highly Successful Losers: Learn the secrets to attaining and maintain weight loss. Mastering Your Metabolism- Learn about the interrelationship of protein, carbohydrates , and fats. Design your own metabolic -blaster meals and snacks. Changing Your Mind- Learn about the behavioral changes that hallmark effective nutrition success. Nutrition Mythology- Overcome diet barriers and learn how to differentiate nutrition fact from nutrition fallacy. Kitchen Kitchen Cures- Learn simple methods to design and prepare nutritious meals- in less than 30 minutes! Sports Nutrition- Get more from your workouts. Have more energy. Slow FoodState of Mind Slow down. Eat less. Lose weight. Learn how! Virtual Supermarket Tour- Enjoy miles of aisle with a registered dietitian. Draw up your own future shopping list based on health eating alternatives. Food and Mood: Learn how to manage excess stress nutritiously. Tips for Traveling- Take your healthy eating attitude on the road. Lean how to enjoy your vacation without encountering run-away weight GAIN. The ABCs of Change- Use this helpful tool to impart behavioral changes that last. 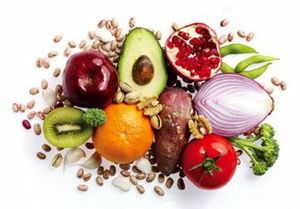 Optimal Food Choices- Optimize your health and wellness with an optimal diet. Dealing with Lapse and Relapse- We all backslide- Learn about the Transtheoretical model approach to changing for good. Fees: Program quotes available upon request. Of note, 85% of all insurance companies on a state wide basis cover for nutrition counseling from a registered dietitian when related to a specific diagnosis. Contact 410-472-3274 to arrange your worksite wellness program.